The app is very beta, you will need to email podcycles.podsicles@gmail.com to arrange a user name. You can view it at this link. For the moment, email us at podcycles.podsicles@gmail.com to book your ride if you are in the west side of Ottawa (Nepean, Kanata). 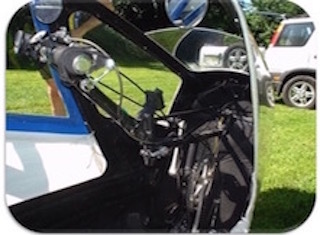 The Stormy Weather velomobile has won awards for being a practical vehicle for everyday tasks like grocery shopping. 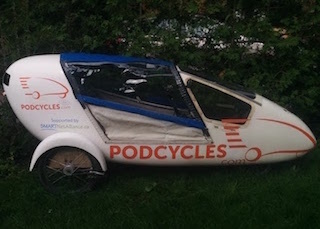 Podcycles offers one and two-way rentals from a growing network of informal stations. You sign up to the system and buy credits online. 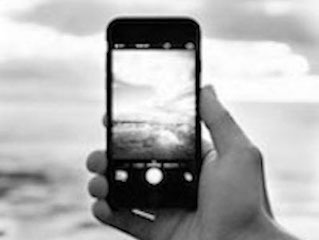 Our app shows you where there are available Podcycles near you. Request to rent one, and the app will give you a four digit code that unlocks the U-lock securing the Podcycle. Once you unlock the Podcycle, the app will give you a second four-digit code. Change the code on the lock to this new four-digit code right away. When you are done using the Podcycle, return it to one of the stations and lock it with the new four-digit code. Click return in the app to end the billing cycle and indicate that the next person can use the Podcycle.